(Two photos: A pair of white swans, and a black swan.) 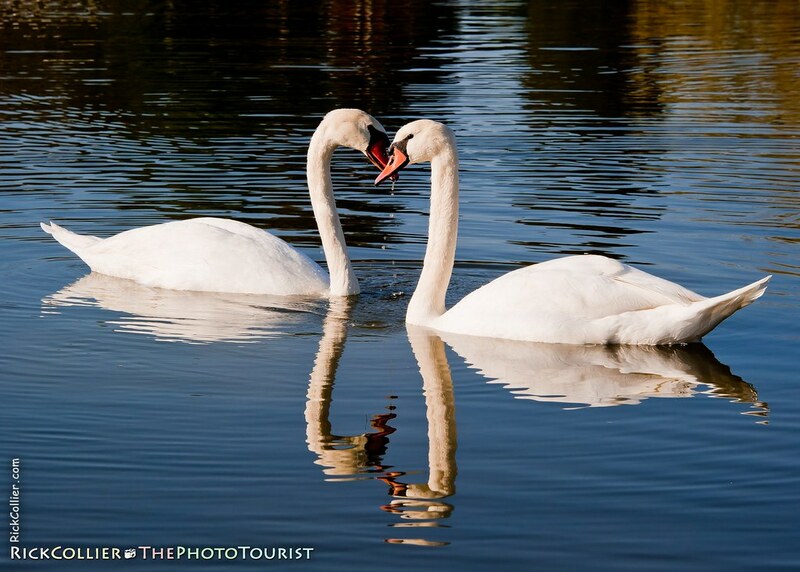 Keswick Vineyards is different from the vast majority of Virginia wineries; they have swans. We saw the pond (and the swans) when we entered the property. There were two pairs. Here’s another picture of wine grapes on the vine. 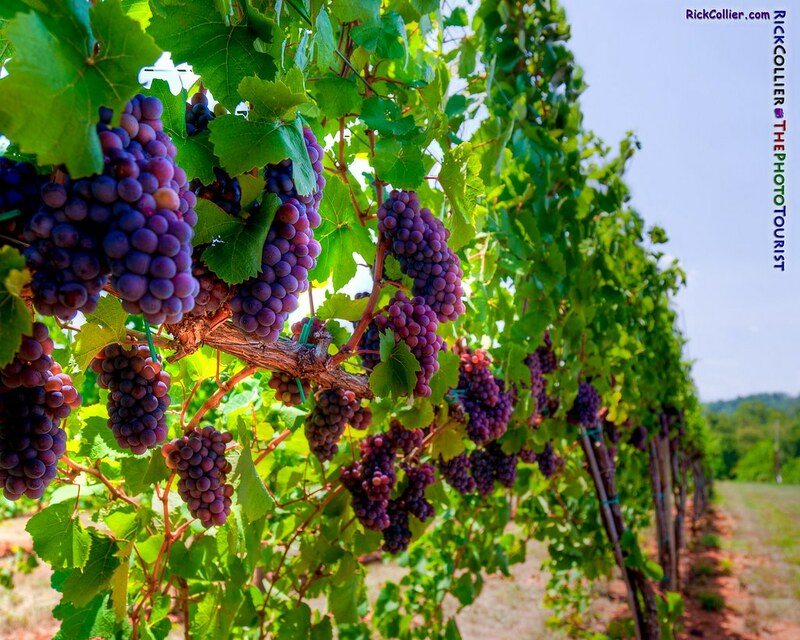 What I like about this shot is that we don’t usually see pictures of grapes on the vine, with the individual grapes in each bunch actually being different colors. I suppose it is obvious (once one knows about veraison), but I’d never thought about it. 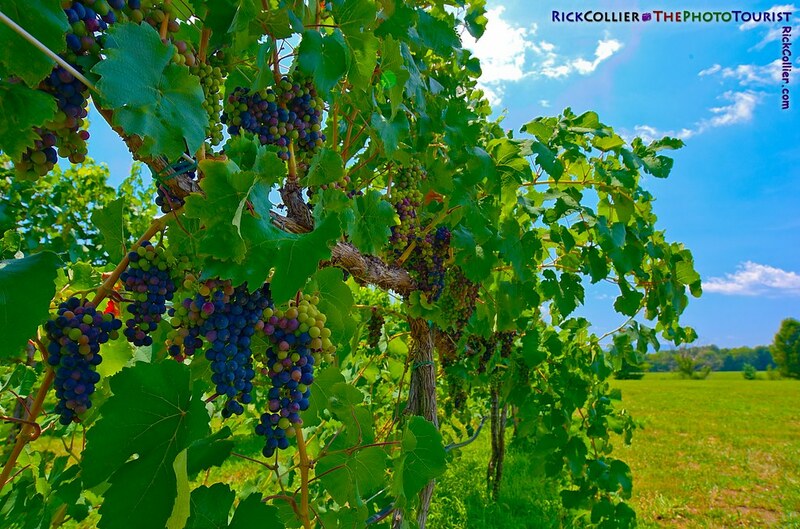 (HDR image of ripening grapes on the vine) We visited Pollak Vineyards on a bright, sunny day in late July. 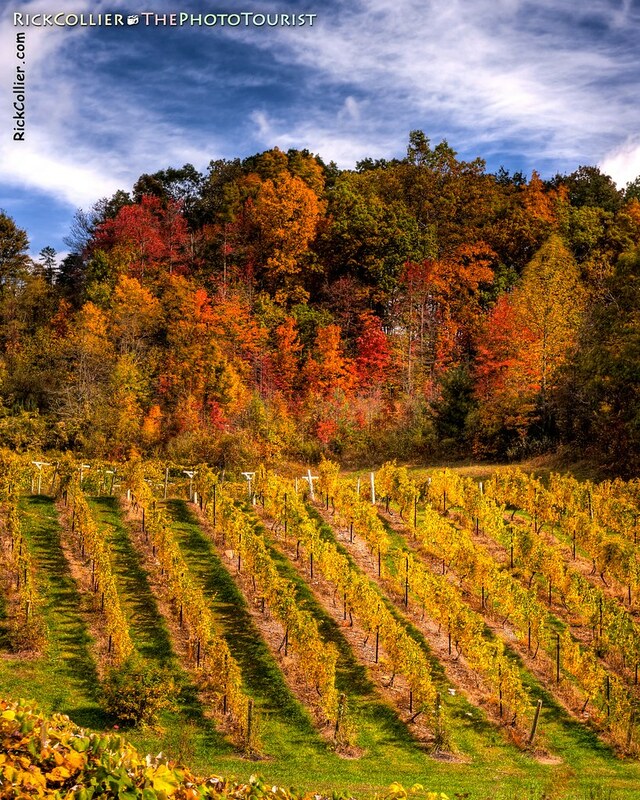 The grapes on the vines had just turned purple. In the bright sun I had a challenge to capture the light on the grapes and bringing out their color while managing the dark shadows and very bright highs of the sunlit vines. 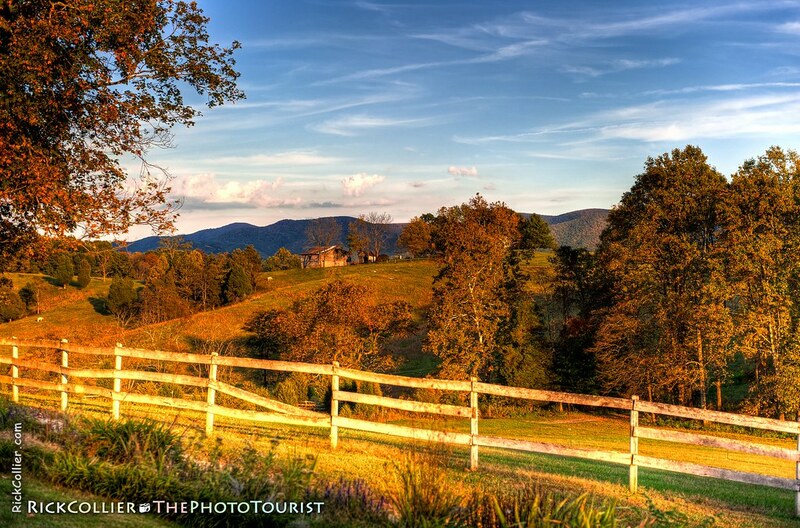 The HDR shot turned out best, giving truly the sense of how bright and vibrant those wine grapes were.